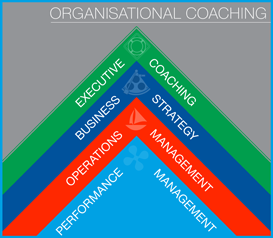 BCS offers organisational coaching programs to Chief Executives, Business Owners, Managers and teams providing clarity around their strengths and weaknesses whilst helping to both author action plans and key performance indicators resulting in strategic, operational and performance excellence. The BCS process has a proven, measurable and long-term impact on the bottom line. Helped me prove to myself that I can think, focus and act in business, as clearly as I can in the surf! This program is focused on closing the performance gap between the potential possessed by the individuals in an enterprise and their demonstrated performance. Having worked with over 4,000 workgroups and 31,000 individuals in the past two decades, we have demonstrated, without qualification, that the quickest way to improve bottom line and performance is; inspire the people you employ today, to do what they know needs to be done today, and to do it in the best way they (already) know how. We believe that true success is achieved when ‘delivering in one part of your life (say work) does not come at the expense of another (say Family)’. Success in one area, such as your career, should not compromise your performance in others. The BCS Executive Coaching program helps leaders make important decisions about personal and professional priorities. By developing a consistent, predictable and proven process with measurable outcomes, BCS has elevated the discipline of coaching and facilitation to a science. This is best evidenced by our Strategic Planning module used globally to assist more than 500 Enterprises with combined turnover of in excess of $30 billion. It is important to know where you want to go before you can select the strategies and tactics that will get you there. The real obstacle to workgroup performance is not what you don’t know. It is the unfortunate gap between what you know….and what you use and apply. Imagine a Perfect workgroup. A team of people whose performance is at or near potential. Perfect to us is a when a workgroup can truly say “with who we have, and what resources we have got, we could not deliver a better result”.